The quality factor of a Canvas Print is the resolution of the photo you supply us with. Check the photo quality by enlarging the photo to the desired size and then check the dpi (in most programs if you right click on the photo, the dpi appears on the bottom of the screen)-lower than 72 dpi is likely to print in poor quality. You can approximately zoom in at 200% on the photo, to get an idea of what the canvas printing might look like, and if the photo will pixilate. 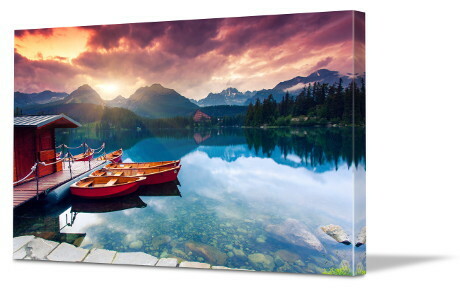 A lot of people make the mistake, to use photos from the internet for use on a canvas print. Unless you go and download or buy from stock photo sites, it is highly unlikely that photos that you have copied from internet sites will work. These have been minimised so that it doesn’t slow the site down. The most popular size canvas that our clients order are A3, A2, A1 and A0, but we can print custom sizes and build frames for it.